Provide students with direct instruction and opportunities to practice their reading strategies. 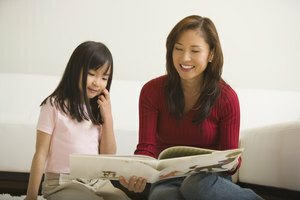 Even students who seem to come to reading naturally and do it frequently in their free time require reading instruction. Teaching reading strategies starts with direct instruction and modeling. Building successful readers involves providing them with opportunities for both guided and independent practice. Give students encouragement and feedback so they can build on the strategies learned in the classroom. Reading strategies start before beginning to read a text. Activate students’ prior knowledge to tap into the attitudes, experiences and knowledge they already have. Ask them what type of story they expect to read based on title and pictures, if applicable, and also if they have read or experienced anything similar. Model your thinking by sharing your thoughts out loud. Have students set a purpose for reading by stating what they want to learn from the text. Continue to remind students before they approach any reading assignment to preview and set a purpose for reading. Teach students to monitor their own comprehension. Show them how to stop when they get to a difficult part, reread, go back or even read forward for clarification. 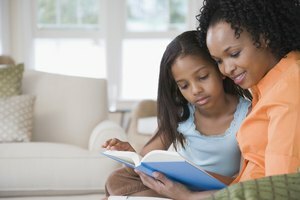 Encourage them to reflect on their reading at regular intervals by working together, taking turns reading aloud and summarizing passages. Model these strategies for the students. Successful readers also interact with the text. Reading specialist Kylene Beers developed an activity for actively engaging students in reading called “Say Something.” Students take turns reading aloud with a partner, pausing periodically to make a comment or ask a question about the text. 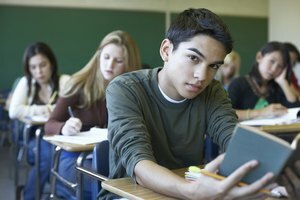 Help students relate to the text they have just read by asking them if the situation sounds familiar or reminds them of something. Encourage students to discuss the text, especially as it relates to big ideas within the story or unit. Beers suggests using scales so students can show their level of agreement with a statement that makes a generalization about the passage. Model the thinking process involved in reaching a level of agreement. Encourage students to discuss their answers, explaining to each other how they arrived at their conclusions. Reading comprehension strategies need to be taught explicitly. Start by naming a strategy and explaining how and why it works. Model using the strategy by reading aloud to the students and demonstrating the thinking process. Have the students work together practicing the strategies while reading aloud; listen specifically for how they talk through the strategies. 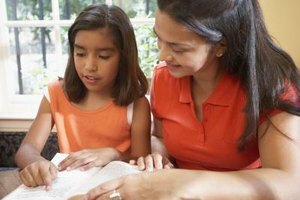 Guide them in using the strategies again and again by reminding them before they undertake a reading or having them reflect on strategy usage afterward. Students eventually learn to apply the strategies independently. Archuleta, Nadia. "How to Teach & Model Multiple Reading Strategies." Synonym, https://classroom.synonym.com/teach-model-multiple-reading-strategies-12278004.html. Accessed 18 April 2019.